Forward-focused preparation for the real world through the development of character and intellect. is to visit our campuses. Join us at our Mastery School campus in University Circle for a program beginning at 1 pm. 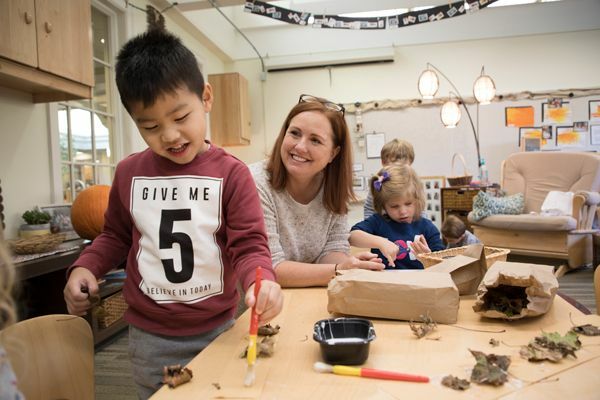 Hawken’s signature programs are continually being developed and created to ensure innovative, relevant, and engaging preparation for school and for life. There are few, if any, fields as dynamic as the field of technology. But change doesn’t have to be the only constant. At Hawken, we organize our use of technology around clear, broad themes that remain relevant even as particular tools and technologies emerge, evolve, and evaporate. Our approach thoughtfully balances stable ideas and principles with the flexibility to capitalize on an ever-widening stream of possibilities. While these principles guide our school-wide technology trajectory, we believe many of the design choices (hardware, software, skills of focus) are much better made at each division of the school. The way we use technology should be matched appropriately to developmental needs. Once students reach the Upper School, they have a stronger understanding of themselves as learners. As students begin to be less tethered to specific classrooms and become more involved in sophisticated “in the field” projects, one-to-one computing is more important than ever. Just as in our Middle School, every student in our Upper School brings a computer to and from school daily. OneNote continues to be relevant and is widely used in our Upper School. Stylus-based computing is also still relevant, allowing us to apply technologies to subjects (chemistry, arts, languages, math) that are under-served by a keyboard and mouse. However, at this stage, learning tools and methods begin to take on a character more specifically tailored to subject domains. Also, with a more developed identity, Upper School students are in a better position to exercise their preferences and identify the tools and techniques that play to their strengths and manage their weaknesses.